With each passing day, the world of Pay-Per-Click (PPC) is changing. It has become very important for paid digital marketers to keep up with the pace to make the best out of this channel. This article is an attempt to help digital marketers be in touch with the latest developments and trends in PPC marketing space. Read on to find out the latest in the industry, including audience targeting, artificial intelligence, voice and visual search, and more. 1. Smart Display Campaigns – Google recently introduced AdWords Smart Campaigns for effortless AdWords campaign management. With Smart Campaigns, digital marketers are required to create pick up and conversion cost. It is all automated in Smart Display Campaigns including Bidding, Targeting and Ad Creation. Though not perfect yet, this feature is expected to get fine-tuned in the time to come. 2. Voice and Visual Search – Search engines, this year, are expected to offer more importance to voice-based sentence searches. Advancements in Voice and Visual searches are evident for camera based search queries have been made possible with Google and Pinterest lens. 3. Audience Targeting – Audience targeting is seeing a major overhaul. 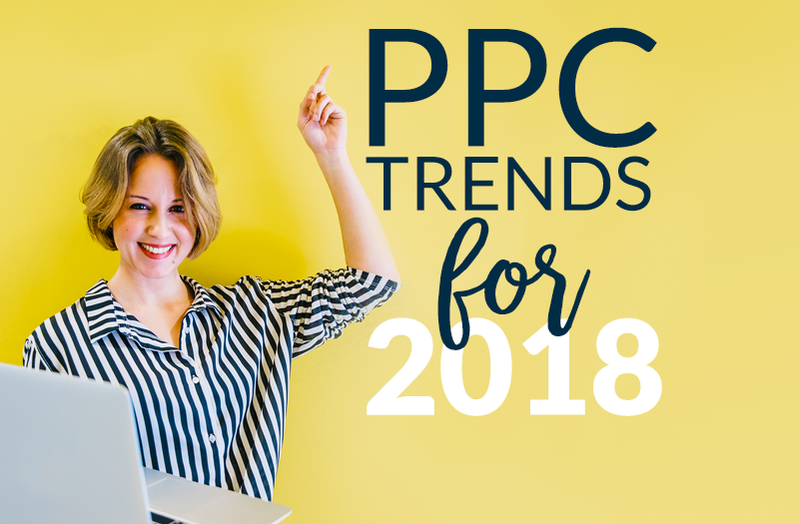 It is not just Google, Facebook and LinkedIn offering targeted PPC campaigns, but also many others who are waiting to follow suit including Twitter, Bing, and Snapchat. This will certainly allow digital marketers to look for new platforms and channels to host targeted campaigns. This race to reach out to best of the audience is also expected to drive costs to marketers; bidding war is sure to get intense for obvious reasons. 4. Structured Data – This year, it is highly anticipated that more and more PPC platforms will put out structured data guidelines for marketers. Google, which has placed standards for its search and display ads, is aggressively streamlining the way ads are shown to its audience. With Google’s rich, structured and detailed ad information with images, key features, descriptions, titles, and reviews already in place, many more are expected to follow the trend. It will not be surprising even if Google pulls out more information including images, scheme mark-ups, landing page copies, and so on in its ads this year. 5. Personalization – Campaign personalization is expected to gain more importance this year. Along with conversion costs, one of the primary parameters that all digital marketers heed to, highly-targeted and personalized messaging is the way forward. With more and more individuals accessing the internet on mobile devices, personalization, especially in this aspect, is bound to make news this year. There are many things expected to happen with respect to PPC this year. But, keeping a close eye on the ones that are here to transform your paid marketing game is crucial. Stay tuned to this space for more updates on the latest on digital marketing.